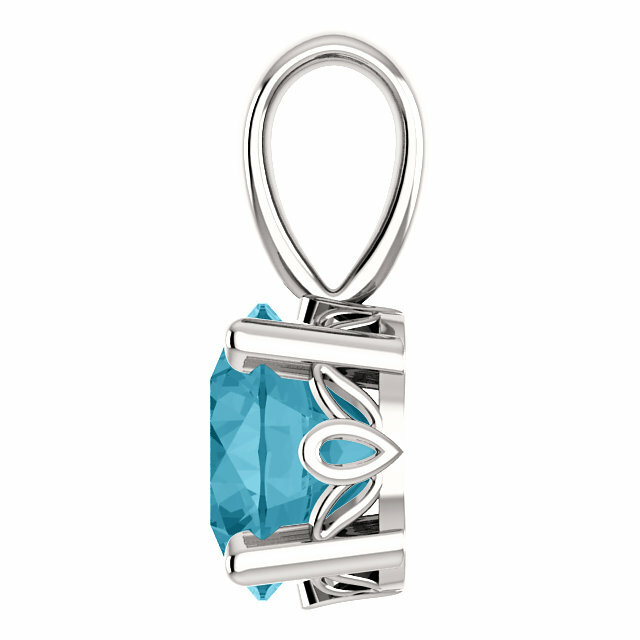 Apples of Gold Jewelry has created another beautiful gemstone pendant with this genuine London-blue topaz solitaire pendant! The 6mm oceanic blue topaz gemstone looks beautiful in the .925 sterling silver pendant, which has a unique gemstone setting that makes it appear as if the AA rated London-blue topaz stone is part of a freshly blooming flower. The pendant, which measures 11.4 x 6mm, including hoop and bale, is perfect to wear for any occasion, and will definitely make a lasting impression. 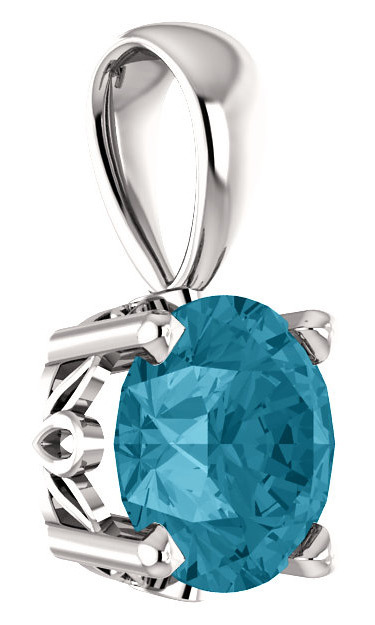 We guarantee our London-Blue Topaz Solitaire Pendant in .925 Sterling Silver to be high quality, authentic jewelry, as described above.